« How Does She Do That?? My grand niece, Reagan Parmely is the oldest of the three children of her parents, Ashley and Eric Parmely. Being the oldest, Reagan feels the need to be the mother’s helper, and so she is very motherly to her siblings. That’s not to say that the children never fight, although Bowen is to little to fight much. Nevertheless, Reagan and Hattie ire very good friends too. Reagan has a wonderful imagination, and she is able to figure out ways to entertain her little sister. Of course, on a farm, there are lots of games kids can play. Kids usually mimic the activities of their parents, and Reagan is no different. She and Hattie pretended to be milking the goats one day, using Hattie as the goat. Of course, I’m sure Hattie got her turn to be the milking maid too, because Reagan is pretty fair about things. Reagan loves to take her little sister for rides in her car too…yes, I said car. Reagan and Hattie have an electric car and they drive it around the property often. They are pretty careful, but they are always under the watchful eyes of their parents. Reagan loves helping out on the farm too. 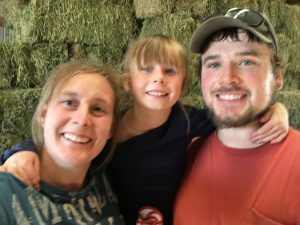 Recently when her parents were moving the hay they bought into stacks, Reagan was right there, helping as much as she could, and hoping it was helpful even if she couldn’t do much. Reagan has been such a blessing to her parents, and her siblings too. Whenever I see her, I just love to hear her tell about hat is going on in her life. She tells stories about her day at school, and all that she is learning there. 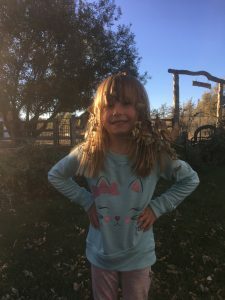 She is a smart little girl, and learns very quickly, but I think the thing I like the most is her wide eyed wonder about the world around her and her joy of learning. 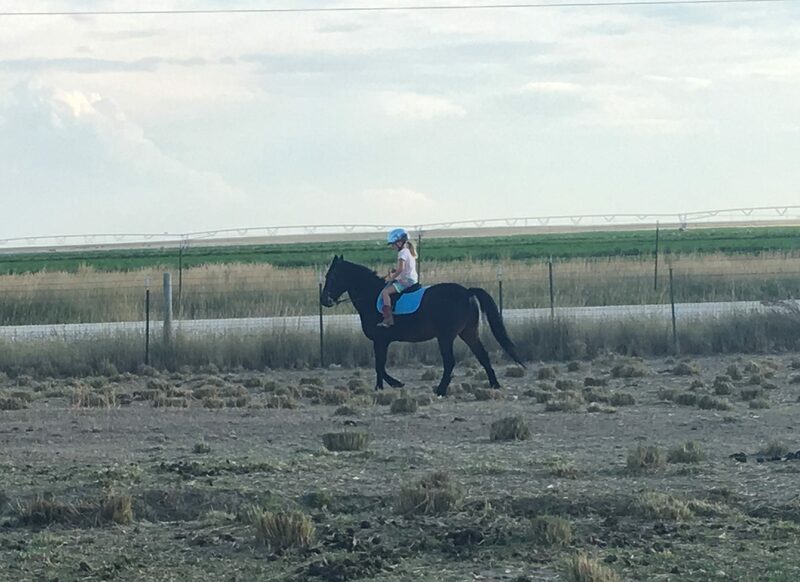 Reagan recently got a horse of her own, and she is proving just how much she is her mother’s daughter. She absolutely loves her horse. She rides as often as she can. 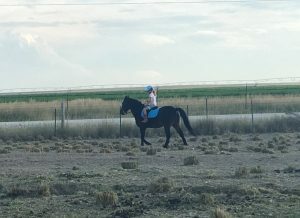 She is getting quite good at it, and of course, her horse loves her too, so they make a good team. Every birthday Reagan’s Oma, Jennifer Parmely bakes the family a cake with anything they wanton it. Reagan has decided to have dinosaurs on her cake, so it will have Dino sprinkles on it. I think it’s going to be a wonderful birthday. Today is Reagan’s 6th birthday. Happy birthday Reagan!! Have a great day!! We love you! !